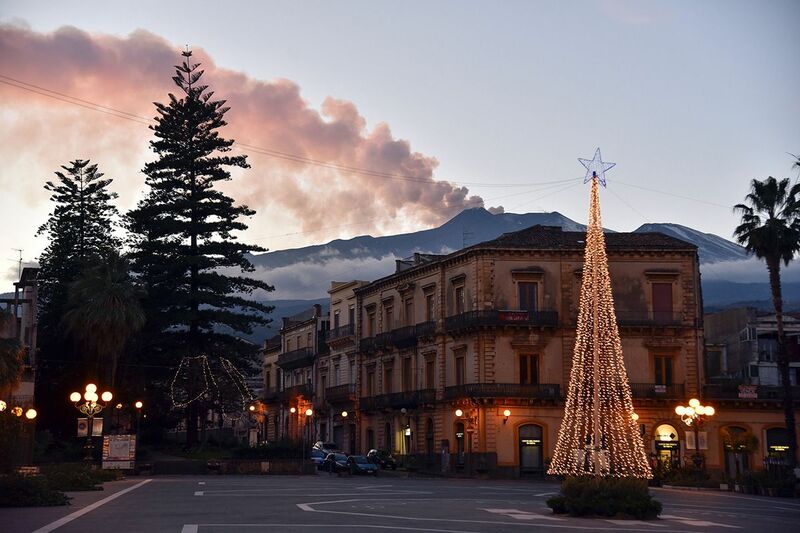 Mount Etna, Europe’s most active volcano, came to life on Christmas Eve, spewing ash across a swath of the Italian island of Sicily. The eruption was followed by a 4.8-magnitude earthquake, which shook eastern Sicily before dawn on December 26. The BBC reported that at least 28 people were injured in what was the strongest tremor since the eruption on December 24. The quake damaged churches, roads and houses in towns near the volcano, and caused panicked residents to flee their homes. Many spent the remainder of the night sleeping in their cars. A 70-year-old man suffered fractured ribs and was taken into surgery. A number of others were treated for minor injuries and released, according to the Italian news agency ANSA, while still more were treated for shock. Two people had to be pulled from the rubble of their homes, including an 80-year-old man. 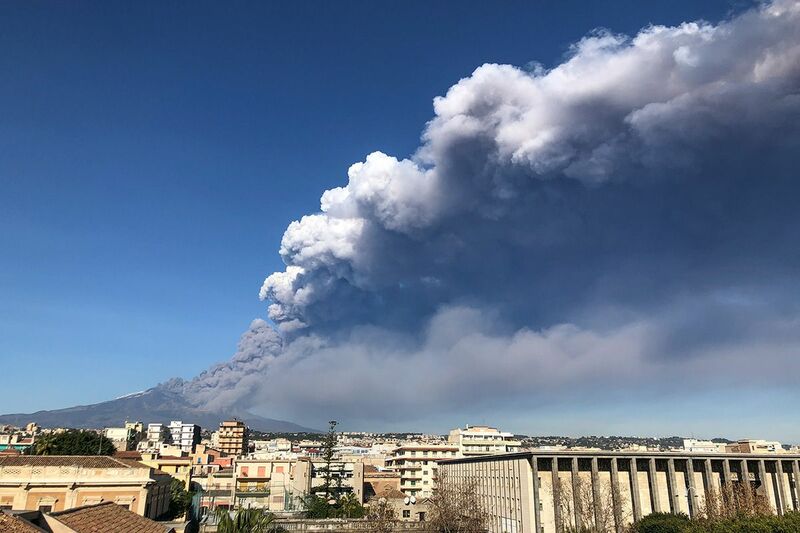 “Etna remains a dangerous volcano, and this country of ours is unfortunately fragile,” government undersecretary Vito Crimi said, according to The Associated Press. At more than 10,000 feet high, Mount Etna is the largest of Italy’s three active volcanoes, and the second largest in all of Europe (Mount Teide in Tenerife is taller). Etna is classed as the most active stratovolcano in the world and has a long documented history of eruptions, stretching back to 1,500 B.C. 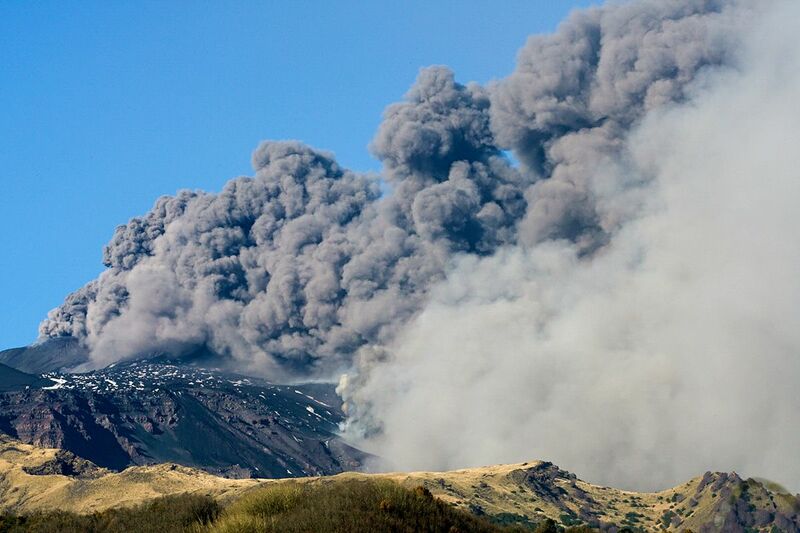 Etna has seen frequent activity since July. The eruption on Christmas Eve saw a new fracture appear on the volcano’s flank, spewing lava. It forced the temporary closure of Sicilian airspace because of clouds of smoke and ash, which coated nearby villages. The 4.8 magnitude quake was the largest of the many tremors felt after the eruption. 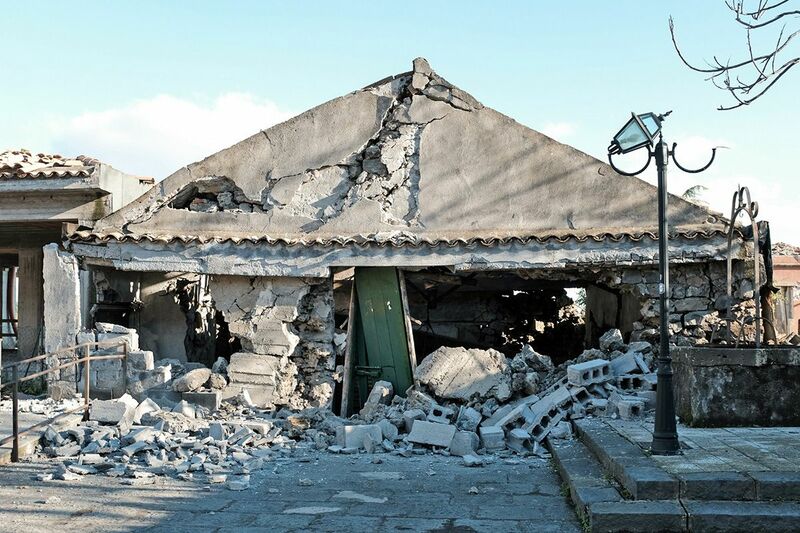 The quake’s epicenter was north of Catania, the second-largest Sicilian city, although no damage was reported there despite reports of shaking buildings. Photos from the scene show the devastation caused to homes, streets and ancient churches. In some towns, piles of rubble littered the roads, while gaping holes ripped open the sides of shops and houses. 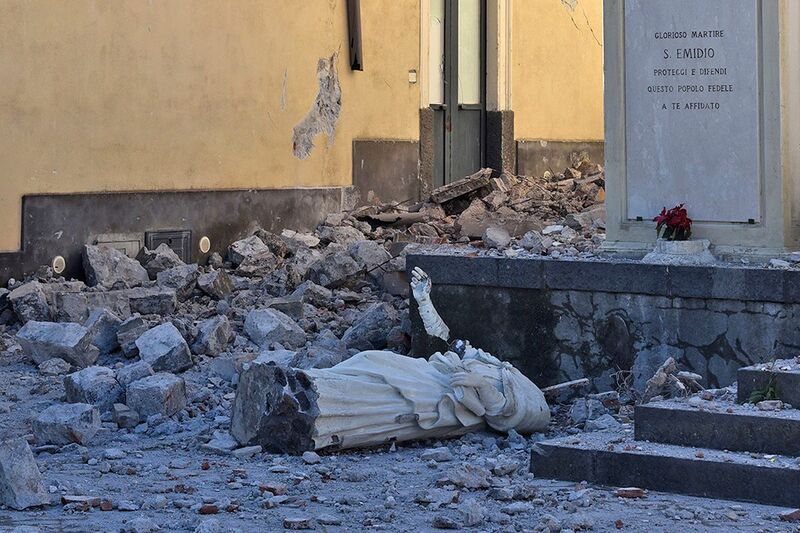 A fallen statue of Saint Emidio, protector against earthquakes, is pictured in the town of Pennisi, after a 4.8-magnitude earthquake hit the area around Europe's most active volcano Mount Etna. 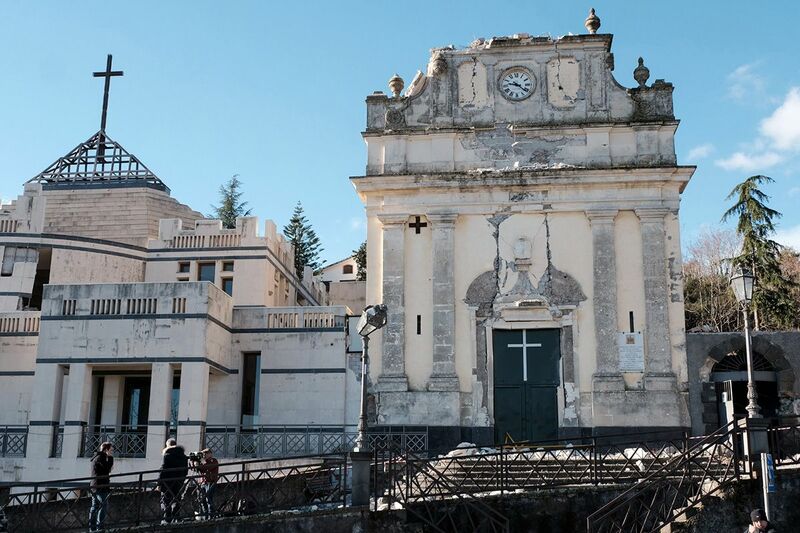 People look at the earthquake-damaged Parrocchia Maria Ss.Del Rosario church in Zafferana Etnea, near Catania. Clouds of ash pour out of the crater of Mount Etna, as seen from Catania. 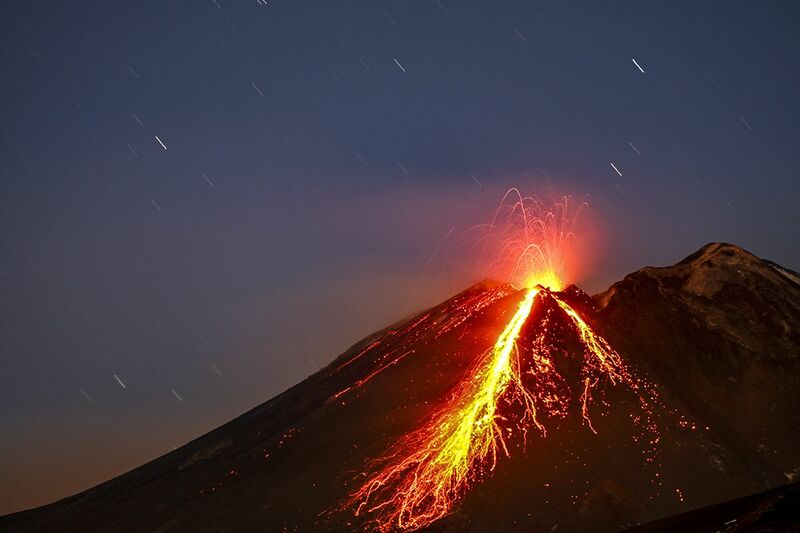 Red hot lava is seen flowing down Mount Etna Volcano the south-east crater, on the night of December 22, 2018. 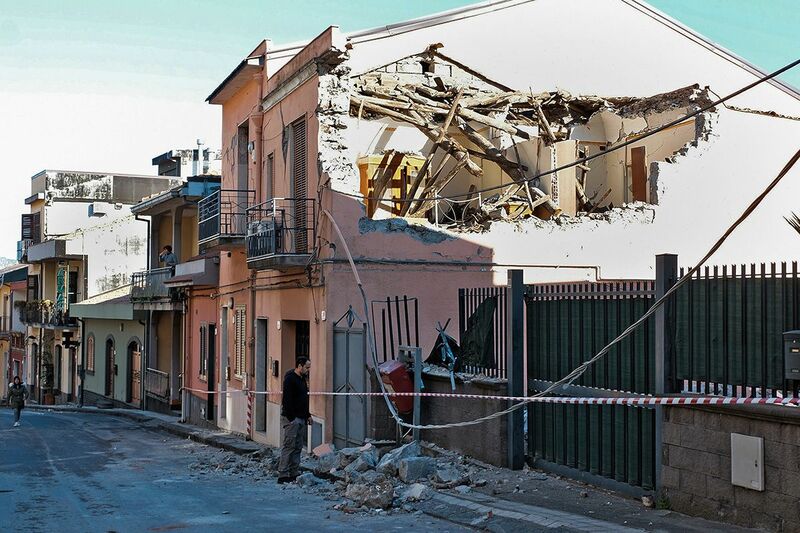 A damaged building in seen in Zafferana Etnea, near Catania, after a 4.8-magnitude earthquake. 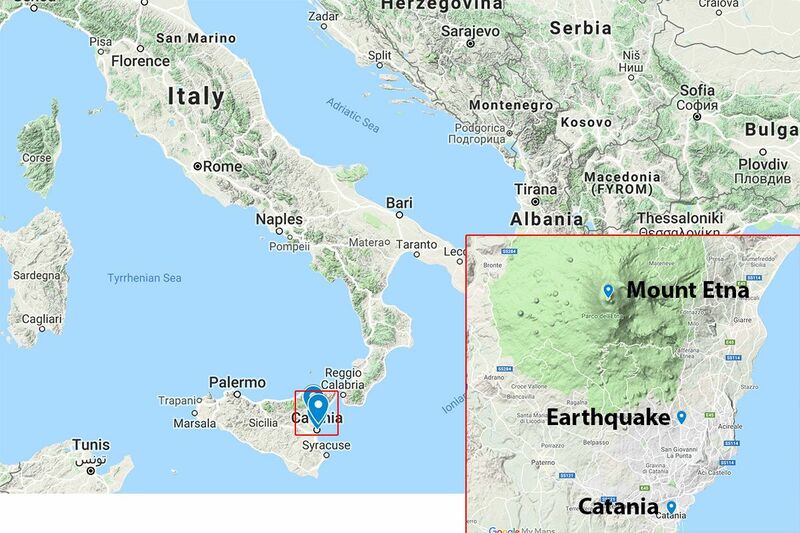 A map of the area, showing the site of Mount Etna, the epicenter of the earthquake and the city of Catania. A resident assesses the damage after the side of a house collapsed in Zafferana Etnea near Catania. 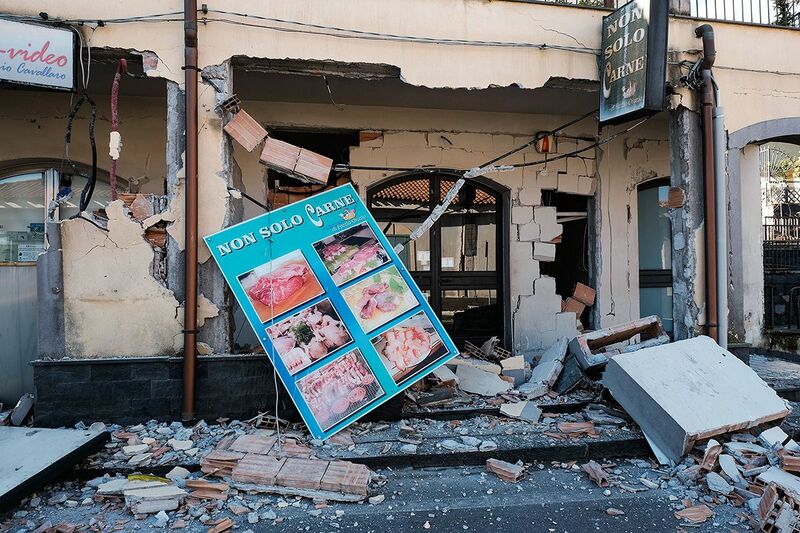 An earthquake-damaged shop in Zafferana Etnea, near Catania. 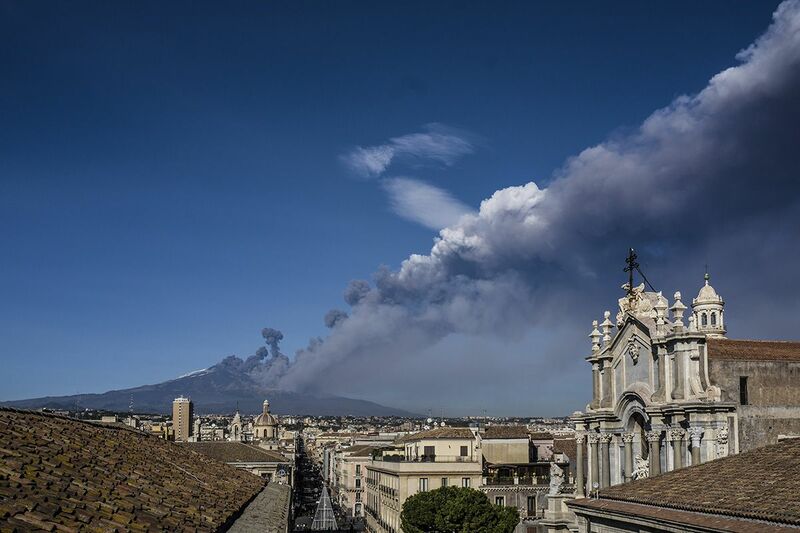 A column of smoke and ash rises from Mount Etna, as seen from the town of Giarre in Catania province. A plume of volcanic ash fills the sky over Catania. 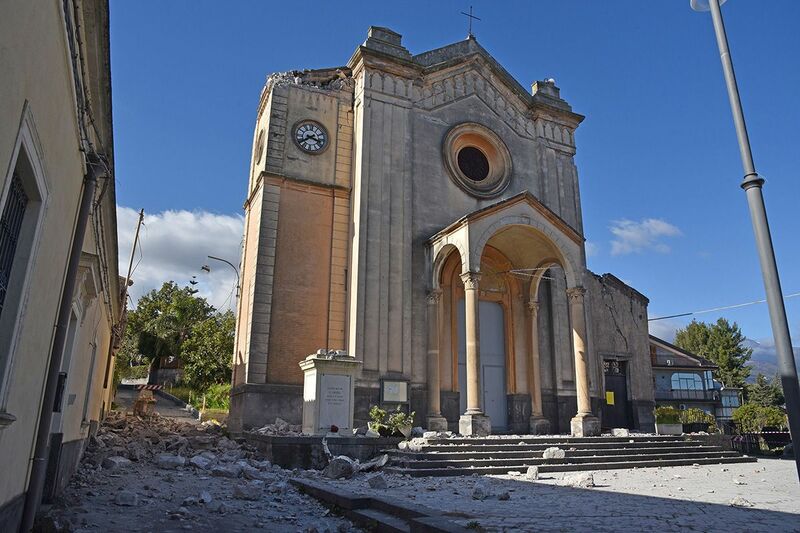 The church of Santa Maria del Carmelo e Sant'Emidio in the town of Pennisi after a 4.8-magnitude earthquake hit the area around Mount Etna.